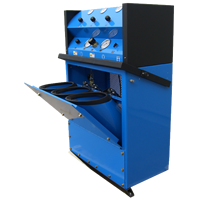 Fill stations are available in 1, 2, 3, and 4 bank configurations provide protection while filling SCBA bottles and SCUBA tanks. 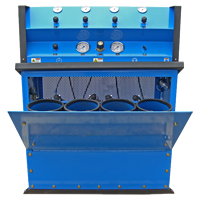 These high pressure containment fill stations can accomadate single or dual fill pressures. 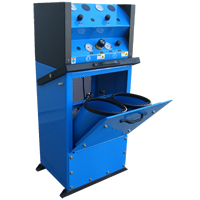 Our two bay fill stations come in manual or pneumatic door opening; the three to four bay fill stations are all constructed with pneumatic doors.